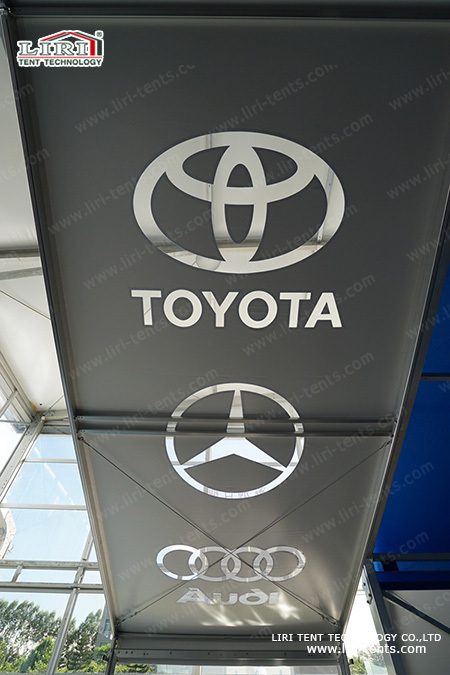 LIRI TENT is the 1st tents manufacturer who developed the CNC numerical control engraving technology in China,which can engrave various patterns in PVC covers. Besides digital printing and silk-screen,now LIRI also is able to provide this customized service of CNC numerical control engraving for clients. Different kinds of patterns are cut out in white PVC covers,then transparent PVC material is used to fill up the covers. The patterns can be your own brand LOGO,star,sun,moon and other simple patterns,even some complicated patterns can be engraved,such as flowers,portraits and so on. Comparing with digital printing and silk-screen,although brilliant colors are not available for CNC numerical control engraving,but it looks more textured,more vital and cool. It will give people a feeling of peace and elegance when watching the projection of patterns on the ground; it also will make your guests be more pleased when they are looking through the transparent patterns to the sky at night,your advertisements can be presented inadvertently and more memorably. 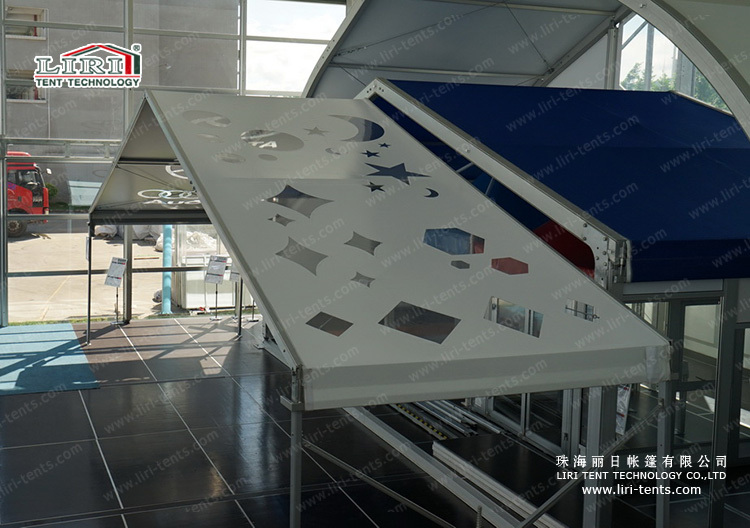 CNC numerical control engraving technology can not only make the exterior of tents more beautiful,but also increase the value of tents. Inside of your tents can be brighter because of this unique design,lights are unnecessary at daytime,additionally,you can enjoy the beauty stars and moon at night. If you are longing for the fashion and individuation,CNC numerical control engraving technology will be your best choice.